Day 22 finds me looking at my sweet girl. We went last night and got her fitted for her band instrument. She has been pestering me about being in band because she knows how much her brother enjoys it and how good he is in band. Her top three choices going in were violin, flute and trumpet. I put the kibosh on the violin at the start. 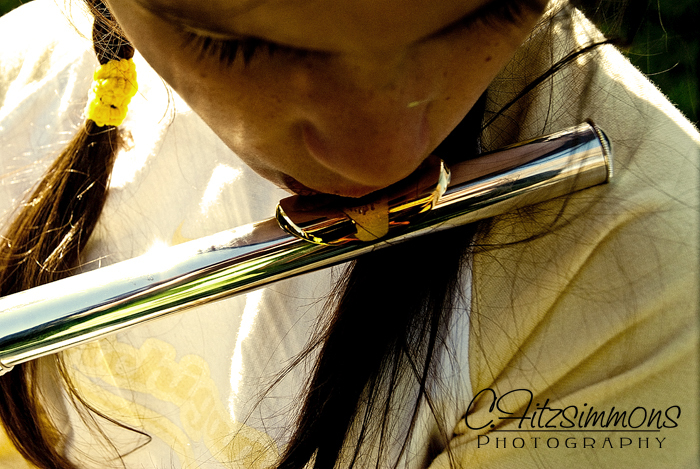 As soon as she picked up the flute, we knew it was a natural fit for her – nice sound! The trumpet was okay, but the sound wasn’t as fluid. The flute we brought home with us is used, barely and she loves it. I am looking forward to band concerts with both of my children playing, though I am not too sure about her staying power with band; Michael, I think, will have a life long love of music. He gets that love from his Great-Grandpa Witherell and wow! What an ear for tune and rhythm Michael has! Quite unlike his tone-deaf mother…. 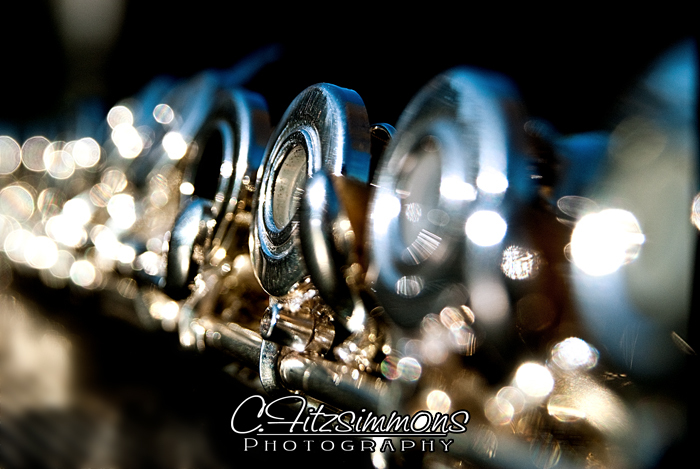 The sun was shining so brightly this late afternoon, that Sam and I decided that we should go out and get my photo of the day of her flute. We all know how enamored I am of the shine-shininess of it! This entry was posted in 365 Day Photography Challenge and tagged 365 Photo Challenge, love, music, Sam, spring by Cyndi the BookChick. Bookmark the permalink. that’s so funny i was thinking about photographing my flute today! i actually have one! 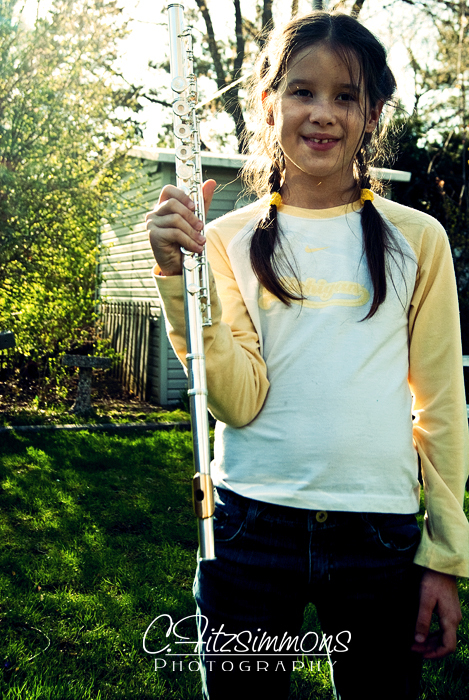 Sam tried to tell us yesterday that boys do not play the flute – I had to remind her that our local middle school has at least 4 male flautists and the high school has 3! She had such a sheepish look on her face – I love being right at least once in a while with my kids…. LOL, I not usually right either when it comes to my kids. I love choir and band and am going to so miss my kids not singing when they graduate. I’ve recorded their performances at every concert and I listen to them over and over again. The violin is so pretty though, when played properly, I’m in such awe of those that can play the violin.